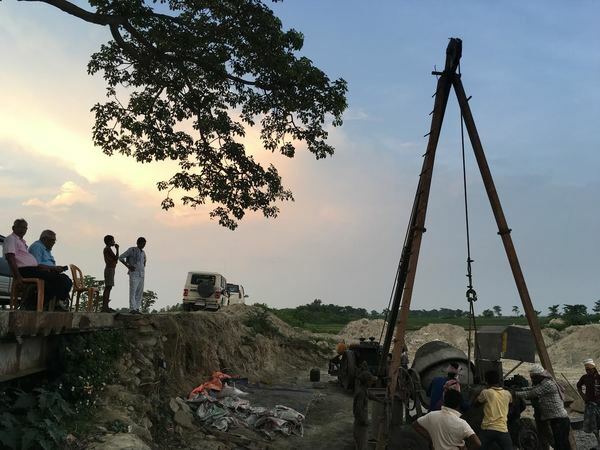 Engineers from the Kosi Project overseeing a contractor and labourers building a bridge along the Sundari River after it joins with the Mahuli River in Saptari District. Images by Peter Gill. On 18 August 2008, the Kosi River, a large tributary of the Ganga, burst through a man-made embankment on its eastern edge at Kusaha village in Nepal’s southeastern district of Sunsari. The result was one of the worst floods in decades. Water swept through villages and towns in southern Nepal and northern Bihar with little or no warning, gushing through homes, carrying away houses and livestock and other property, and smothering fertile land in sand. Over 400 people died and millions were affected by the floods in Bihar, while several dozen people died and tens of thousands were displaced in Nepal. Although the breach occurred in Nepal, the Kosi embankments (also known as dikes or levees) were built and maintained by India through the Kosi Project under Bihar’s Water Resources Department (Nepal played a mostly superficial role in monitoring the embankments through the bilateral Kosi High Level Committee). It appeared that the 2008 disaster was largely due to poor embankment maintenance, because the breach occurred when the river’s discharge was only about 15 percent of the 28,500 cubic metres per second the embankments were designed to withstand. 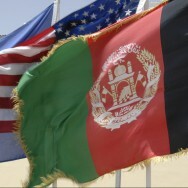 A diplomatic spat ensued. Although some Indian officials claimed that protests and strikes in Nepal at the time (as part of an ongoing Madhes movement) had prevented them from performing repairs, the bulk of the blame clearly lay with India. The Kosi Project’s chief engineer had denied there was any danger up until two days before the breach, and locals said the section of the embankment in question had seen no maintenance in years. The disaster was exacerbated by hierarchical institutional structures on both sides of the border that hindered communication between the governments, and by a lack of bilateral planning for such a breach in the 1954 Kosi agreement. The blame for the 2008 Kosi disaster may have rested with India, but by then, the Nepal government had also built hundreds of kilometres of embankment along other rivers, many of which were breached on a routine basis. The breaches were associated with administrative weaknesses, but there are also technical reasons why embankments are an inappropriate technology for many of Nepal’s rivers. Unfortunately, rather than learning from the 2008 disaster, the Nepal government has continued to expand embankment construction over the past decade, increasing the risk of more catastrophes in the future. An embankment is essentially a berm – a path raised from the ground – built along the edge of a river to prevent flooding when it is in full spate. Embankments may be short and discrete, protecting certain pieces of infrastructure or villages, or long and continuous, preventing rivers from shifting course for extended stretches. They come in many sizes and are built using different materials. In Nepal, for example, embankments on small rivers fed by the Chure range (the lowest hills) are typically just a couple of metres high, whereas embankments on larger rivers originating in the mountains are as high as five metres and may be over a dozen metres wide at their base. Some embankments are made from compacted soil, but many are made from readily available sand and stones dug from riverbeds. Large embankments are often buttressed with spurs (projections that slow the flow of water), gabion boxes filled with boulders and sand bags. But embankments can be counterproductive for several reasons. First, they obstruct the free flow of water from outside the embankment into the river, possibly prolonging floods and causing water-logging. Although some embankments are outfitted with drainage pipes to address this problem, the pipes usually fail to function properly. In Bihar, for example, the Kosi project was originally designed to protect over 2000 square kilometres. By the 1990s, over 3000 square kilometres had become water-logged. Second, rivers that carry large amounts of sediment pose special challenges for embankment construction. Eastern Himalayan rivers are known for carrying sediment; the Kosi, for example, carries with it a cubic kilometre of earth every 8 to 12 years. When rivers debouch from the hills into the plains, their sediment settles in the river beds, leading the rivers to continually rise vis-à-vis the surrounding land. Left to their own devices, the rivers naturally meander to lower ground. But if they are embanked, they become artificially elevated. If their embankments do not breach first, rivers will overtop unless they are outfitted with ever-higher embankments or are continually dredged. Both of these solutions, however, are costly. 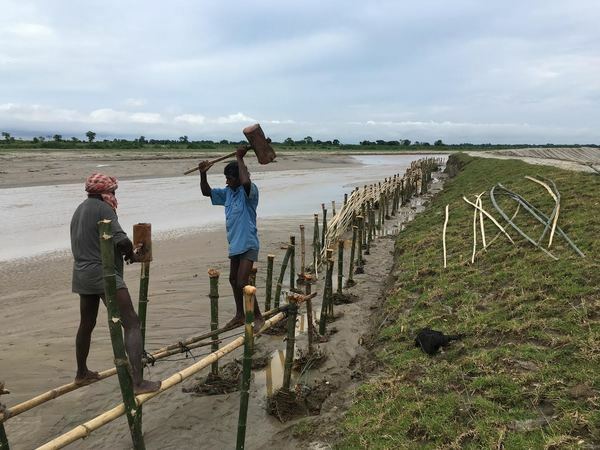 A bamboo revetment under construction, along an embankment on the Sundari River near Raghunathpur, Saptari District. But embankments gained favour again following Independence. After the floods in Bihar in 1953, Nehru’s government announced the Kosi Project to embank most of the river from where it debouches from the Nepal hills to its confluence with the Ganga in Bihar. The project included an agreement with the Nepal government to use its territory for roughly 60 kilometres of embankment and an India-operated barrage just north of the border for irrigation and limited electricity production. By 1959, roughly 150 kilometre of the Kosi had been embanked, followed soon by other embankment projects on other Ganga tributaries, including the Bagmati and the Gandak. Bihar today has nearly 4000 kilometres of embankments. Nepal’s history of embankment construction began in 1954 with the Kosi Project, but it only gained steam in the 1990s in the wake of several destructive floods in the 1980s and in 1993. Most embankments are in Tarai plains, because that is where the risk of flood is greatest. 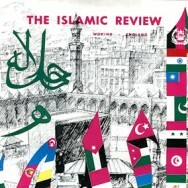 The vast majority were built by the Nepal government, although some river-training projects were funded by international donors and lenders like India, the Asian Development Bank and Japan. But the drive to build embankments was not without cautions. In a 1999 report, the Japan International Cooperation Agency (JICA), which had provided institutional support to the Nepali government for flood control in the 1990s, warned the Nepal government against building long, continuous embankments due to the high risks they posed. However, Nepal continued to build long embankments, completing nearly 900 kilometre to date. The government initiated the Janatako Tatabanda Ayojana or ‘People’s Embankment Programme’ in 2009, to build embankments on 28 of the country’s largest rivers. Data provided by the Department for Water Induced Disaster Management – the largest of several government institutions that build embankments – shows a rapidly growing budget. Its budget for financial year 2017-18 was NPR 9.71 billion (USD 94 million), compared to the NPR 34.5 billion (over USD 300 million) spread over the previous decade. The department says it spends over 85 percent of its budget on ‘river training’ – structural steps taken to improve a river and its banks. Why does Nepal continue to build embankments? Although it sometimes works through ‘user groups’ made up of local community members, the Nepal government primarily relies on private contractors to construct embankments. Such public infrastructure contract work has gained notoriety in Nepal as a field rife with corruption. A 2017 article by Nepal’s Center for Investigative Journalism details how politically well-connected contractors routinely neglect to complete work on roads, but face few sanctions from politicians who may be receiving kickbacks. The government’s increasing investment in embankments has certainly provided more opportunities for corruption and political patronage. However, embankments also receive widespread popular support from communities that live along rivers. Although local residents are frustrated by routine breaches (some embankments breach every year), most think the solution is to build more permanent, expensive and higher embankments. This outlook is reinforced by politicians and the media who rarely question the overall approach of embanking rivers. On the Kosi, a high dam at Barahachhetra near the base of the hills has from time to time been proposed. The dam would have a large reservoir that could hold back flood waters. But the 269-metre-high dam would be costly, displace 75,000 people, and would likely have a shortened lifespan as sediment fills in its reservoir. Following destructive earthquakes in Nepal in 2015, and looking at studies suggesting that large reservoirs can induce seismic activity, there are also concerns about safety; damage to the dam could lead to a catastrophic flood. Storage dams are not feasible on smaller rivers, such as those fed by the Chure range. Others argue that floods can be ameliorated by reducing erosion upstream. In recent years, an explosion of haphazard road construction (Nepal averages over 1500 kilometre of new roads per year) and other infrastructure has scarred Nepal’s hills, adding to rivers’ sediment loads. In response, various government and donor initiatives have promoted ‘green roads’ and other forms of integrated watershed management. While such efforts are important, they are generally small compared to the scale of the problem. What’s more, it is unrealistic to believe they can eliminate flooding. Research suggests that the Himalaya’s steepness led to high natural rates of erosion for millennia before human interventions began. 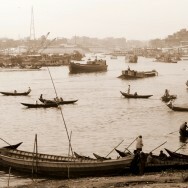 For example, historical evidence shows rivers always meandered significantly in the plains, and drill-hole studies have shown river sediments as far as 5000 metres below the surface of the Gangetic plain. Some experts and activists call for other, lower-risk technical and institutional fixes. In recent decades, Nepal’s flood forecasting and early warning systems have improved dramatically. Unfortunately, however, warnings often fail to translate into action. Practical Action, a development organization, recently produced a report that noted that in the lead-up to August 2017’s devastating floods, the Nepali authorities carried out no pre-evacuations, nor did they pre-position necessary supplies in the days before the floods hit. Dinanath Bhandari, the report’s lead author, says that carrying out such preparations can save more lives, property and livelihoods. Others argue that buildings and other infrastructure should be built to better withstand floods. Ajaya Dixit, a water-resources engineer and analyst, argues that building on floodplains should be avoided. When this is not possible, houses should be constructed more safely by building on raised plinths, or even on stilts – a style of architecture that is found only sporadically in Nepal. Similarly, roads that block the natural flow of water should be outfitted with more culverts and bridges to avoid water-logging and damage. In agriculture, Dixit and others have advocated varieties of rice and other crops that can withstand longer periods of inundation. Some of these interventions would be costly, while others would require a degree of humility, recognising the limits of engineering to tame Himalayan rivers. For the time being, the government appears to be building embankments as its main flood-control strategy. Dixit notes that embankments are simple and tangible, and “there is money, and so it fits into the interests of the politicians, also the bureaucrats and a section of the market.” So long as public opinion supports embankment building, the current trajectory will likely continue. ~Peter Gill is a journalist based in Kathmandu who tweets at @pitaarji. Bhola Paswan is a Saptari-based journalist who tweets at @paswanbhola.